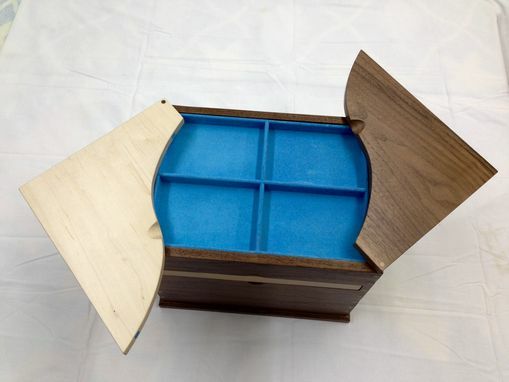 A recent customer requested a Valet that would hold large watches, so the basic design of the original Valet was increased by about 33%. 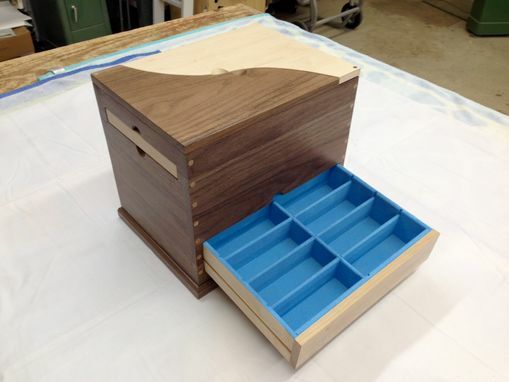 The bottom two drawers were made deeper to accommodate large watches. 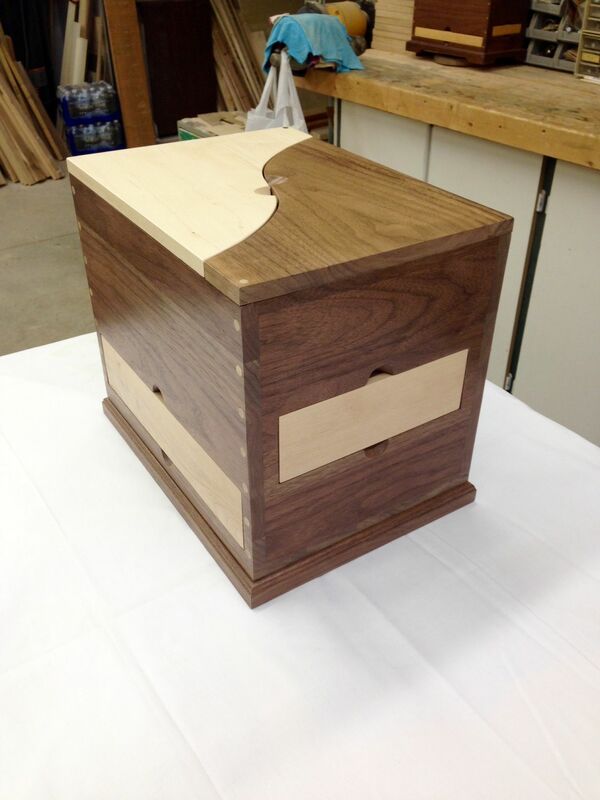 This unique Valet is made from walnut & maple, and is coated with 3 coats of a hard lacquer. 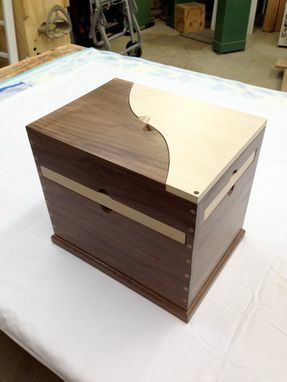 The 2 part Valet top, which has a "Ying/Yang" design, slides open easily with the carved finger pulls, to reveal the pull-out top tray. 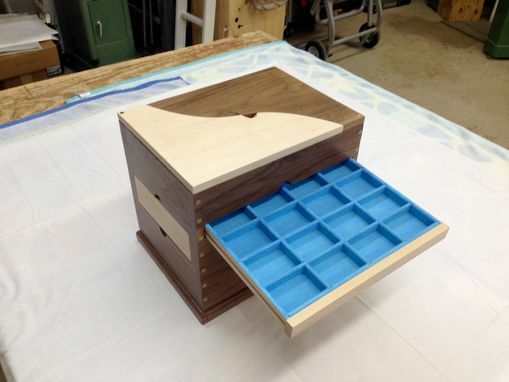 Each side of the Valet has a different size drawer & is located in a different spot from each other drawer. In lieu of drawer knobs or pulls, fingers pulls were carved into the case sides. To access any side, simply rotate the Valet; a revolving turntable is installed in the bottom and allows for easy movement. 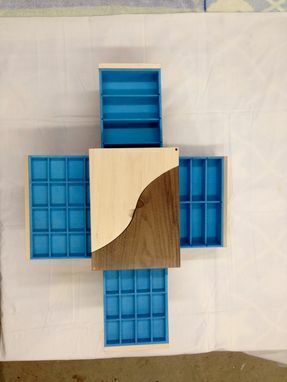 All drawers are coated with a light blue powder flocking to cushion the rings, watches, and other jewelry.